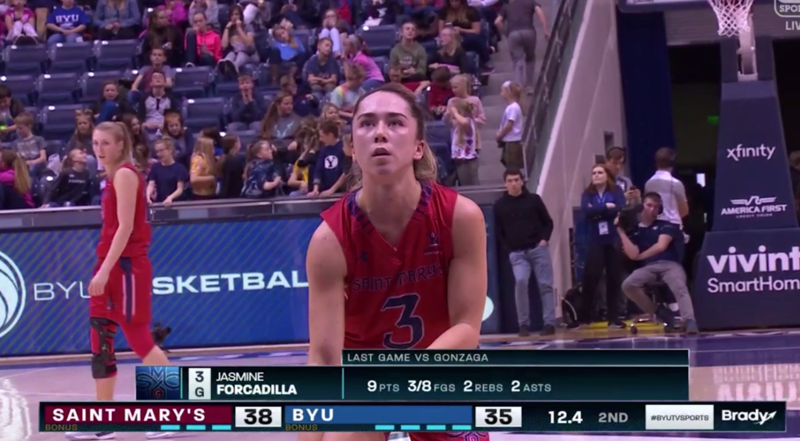 Terrigal’s Jasmine Forcadilla has continued her stellar college basketball season with Saint Mary’s. She was a constant threat from the outset against Brigham Young University. Then with just 13 point eight seconds remaining – hit some huge free throws to give her team the win on the road….78-75. The Gaels now sit third in the NCAA Western Conference.